The First Wildflower of 2011 . . .
My television viewing habits are limited mainly to cable channel shows about outdoor sports and the relatively new genre of reality series set in wilderness or survival settings. Of these, Man vs. Wild starring the indomitable Bear Grylls is my favorite. He is a daring host with British wit and his locations are often breathtaking in themselves. One of the episodes for the show’s new 2011 season was set in the highlands of Western Scotland. As Grylls rock climbed up cliffs, captured trout from pristine pools, and made shelter and fire from peat moss, I was taken by the vast, damp landscape of rugged rock and close-cropped heather green. Ironically, the next afternoon, I visited Hudson River Park and witnessed the coalescing of an atmosphere similar to the one I had seen on television the night before. The day was cold, damp, and windy. A steady gale swept whitecaps all over the surface of the lead grey river. The grass lawns of the park had become bogs of ground-hugging green saturated with snowmelt. The wind groaned, and I joked with myself: “I could develop a new series of my own here – Swegman vs. Urban Wild!” On cue, for a span of just a few minutes, the sky opened, a beam of electrum setting sunlight illuminated the park, and the sharpness and clarity of the light casting shadows on the lawn brought forth one of those transcendent moments where nature and the city intersect, making something more than one or the other. That day also marked the first time in nearly two months that the park had been free of snow. Along the edges, and on the margins, plant life was already taking advantage of the thaw. 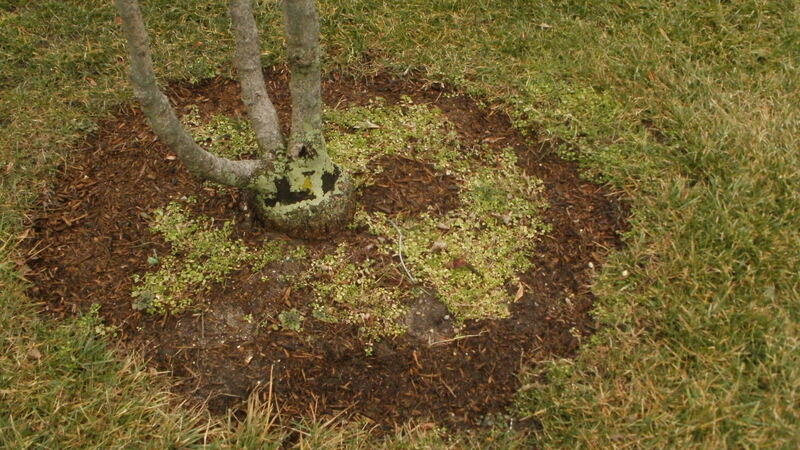 Common Chickweed ringed the bases of some trees. Tufts of Onion Grass sprouted from the lawn edges. 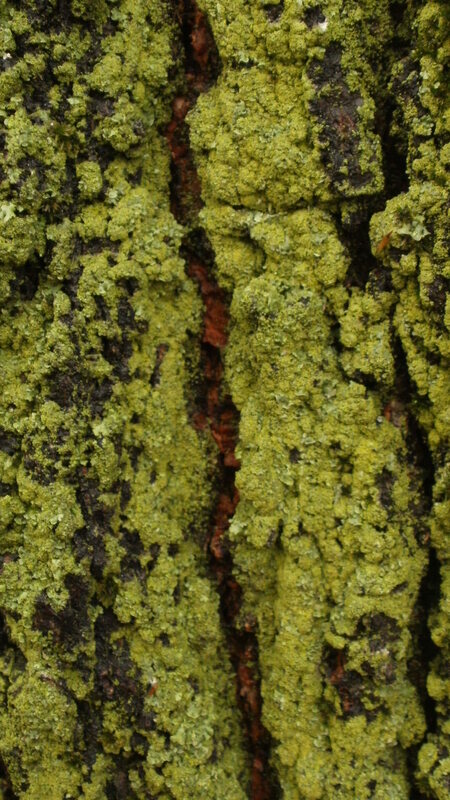 Common Greenshield Lichen coated the trunks of many trees. Fate found me without a camera, so I planned a return. On the following Monday, the final day of February, I did. Camera in hand, I crossed the West Side Highway, expecting to document the first minor green expressions of the new year’s growing season. On the park side, flanking one of the entrances and well out of easy view, I found something more, quite an unseasonal sight: flowers, in bloom! 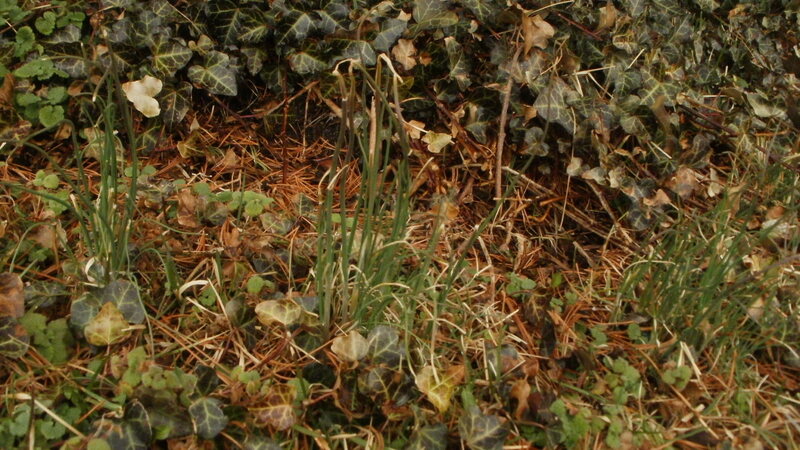 A small colony of Common Snowdrop, Galanthus nivalis, glowed bright white above the wet brown leaf litter. This pretty little flower is an herbaceous perennial member of the family Amaryllidaceae. 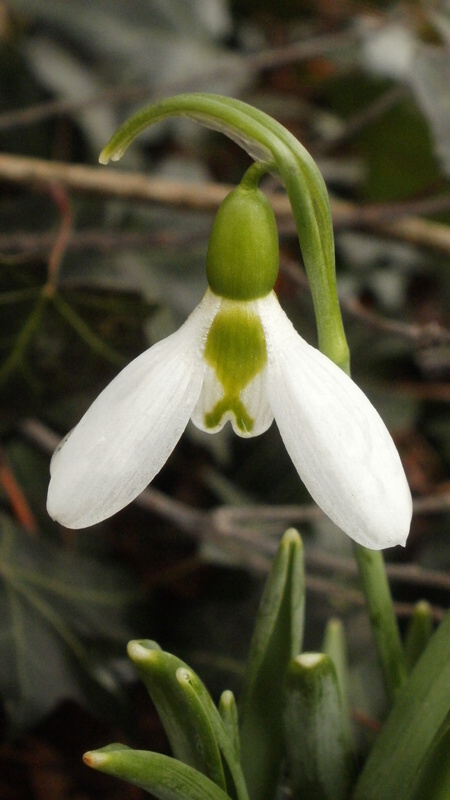 A naturalized immigrant from Europe, the Common Snowdrop sprouts from a bulb that sends forth two deep green lanceolate leaves and a thin scape that holds a single lobed flower on a pedicel. An individual bloom hanging from its scape very much resembles an antique lamppost supporting a white glass light fixture. Common Snowdrop I have learned lives and blooms in time with its name: from January to May. This species beats the only other early wildflower I have so far seen in Manhattan, Siberian squill, by a full month. 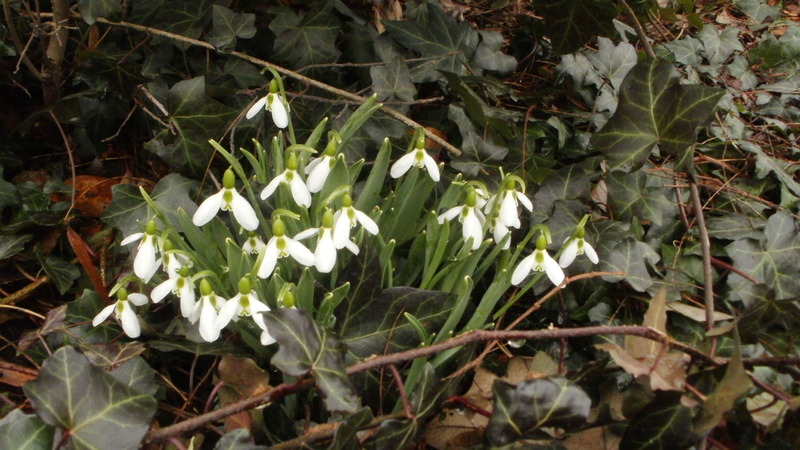 The flower’s Wikipedia entry states the Common Snowdrop contains a chemical, galantamine, which has been found useful for Alzheimer’s disease. Beyond that, this bloom is refreshing to behold after months gripped tightly by ice and snow, and it now holds the distinction of being the first wildflower of the West Village for 2011. Oh, early snowdrops. How wonderful! Great pics. Love the antique streetlamp metaphor. Thanks for the downtown report!